Polish'd Nail Bar | The one and only nail bar you’ll ever have to visit. Welcome to Polish’d Nail Bar of Clovis, CA! 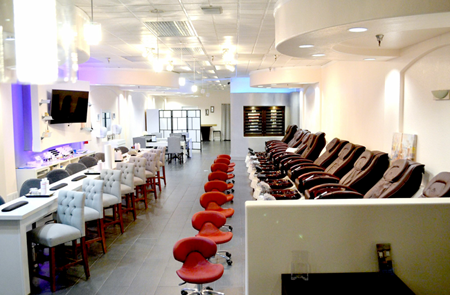 The one and only nail bar you’ll ever have to visit. At Polish’d Nail Bar, we believe feeling radiant boosts determination. We want to be able to help you get polish’d and feel radiant by providing the finishing touches. With every visit, we ensure the most welcoming and accepting customer service. We push ourselves to ensure you nail satisfactions and exceed beyond imaginable. Because our customers are our top priority, we want you to experience more and expect less. 500 Shaw Avenue • Clovis, CA 93612 • In the Sierra Vista Shopping Center (Same shopping center as Marshall’s and Smart and Final) • Map Us! Like us on Facebook and follow our Instagram for specials promotions!